Well it wouldn’t be a Mets’ offseason without the mainstream media finding a way to take cheap shots at Yoenis Cespedes and his work ethic. I think today’s hit piece in the New York Post is meant to be complementary, but it essentially implies that Yo is committed to working out for the first time in his career and that his commitment is totally unexpected considering he just signed a new long-term deal. The article also mentions that Yo said he’s playing less golf, and he sold his Lamborghini. Phew! I was worried all those distractions would stop Yo from being our most valuable hitter for the third year in a row. I’ll never understand these old writers who are obsessed with the false narrative that Yo is a lazy player who has never been committed to winning. It couldn’t be further from the truth. However, the Cespedes hit pieces from dinosaur writers are old news. 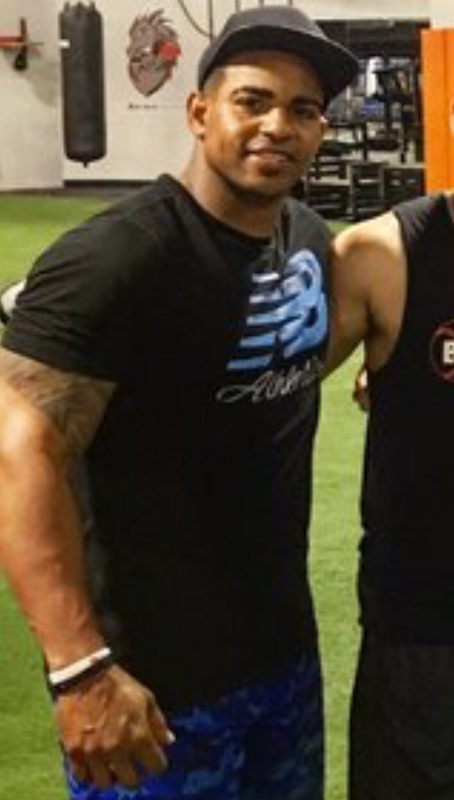 Yo has been a freak physical specimen for years, but clearly he’s working out like a mad man this winter. He’s supposedly taking part in the Wilpon approved Barwis training program. The Barwis method may not work for everyone, but based on those Yo muscles it’s obviously paying dividends for our star. If you read The Metssiah, you know I’m a glass half empty fan. Even as I write this I feel like I’m undoubtedly jinxing Cespedes. But I feel like this is going to be a big year for Yo. It’s been pretty clear over the last two seasons that Yo’s performance is trending up. This season he’ll be back in left field where he’s comfortable, and he won’t wear down his legs chasing balls in center. This guy wants an MVP. This guy wants a World Series Championship. He wants to be the King of New York. If he stays healthy in 2017 and matches his 2015/2016 production then he’s obviously going to be in the NL MVP discussion. But what if he somehow ups his game even more? What if he blasts 40 homers?